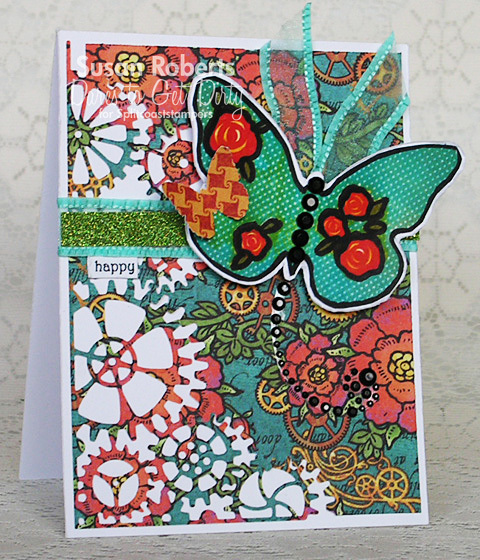 Made a card using one of the dies from the awesome Papertrey Ink “One Liners: Happy Die” set. 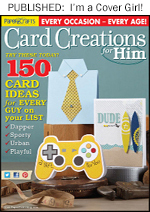 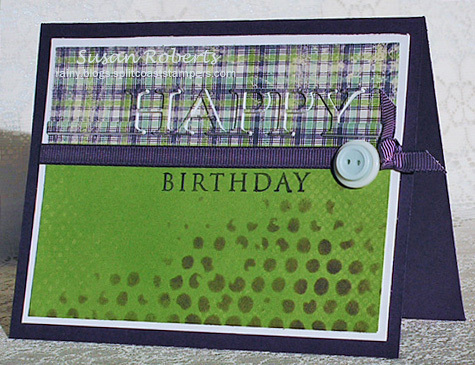 Besides cutting the die out of the plaid patterned paper, three cuts were made with white cardstock. 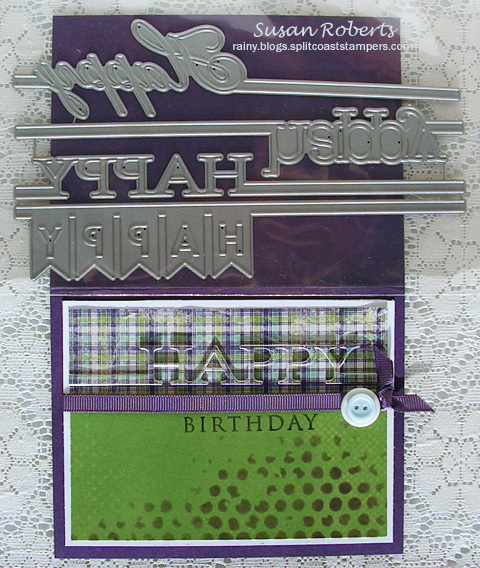 All four layers where glued together with the plaid piece on top. 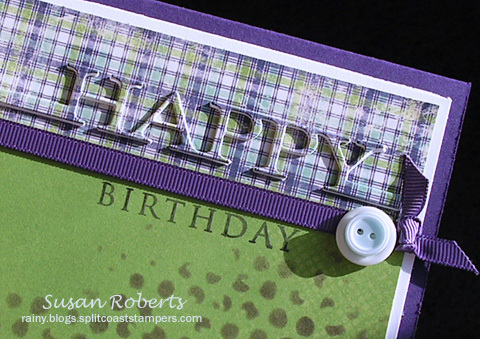 It was then placed back into the cutout on the plaid paper. 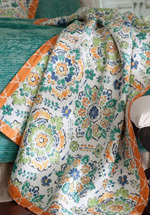 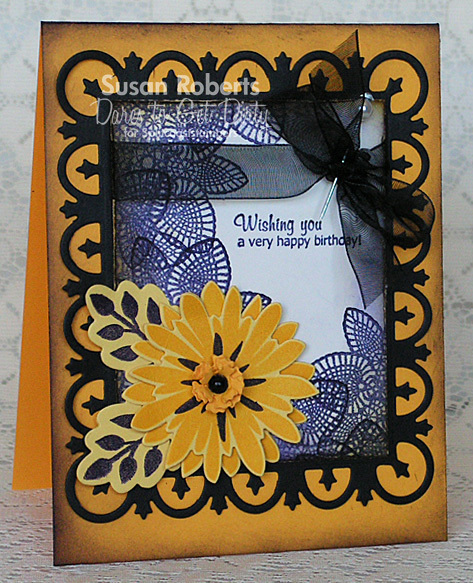 Love the dry embossed look this creates. 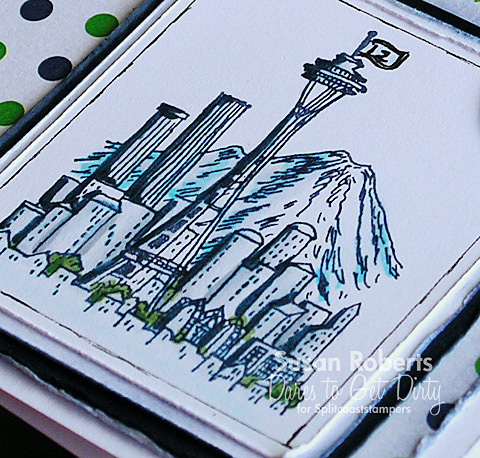 When I ordered this die set I accidentally ordered two sets. 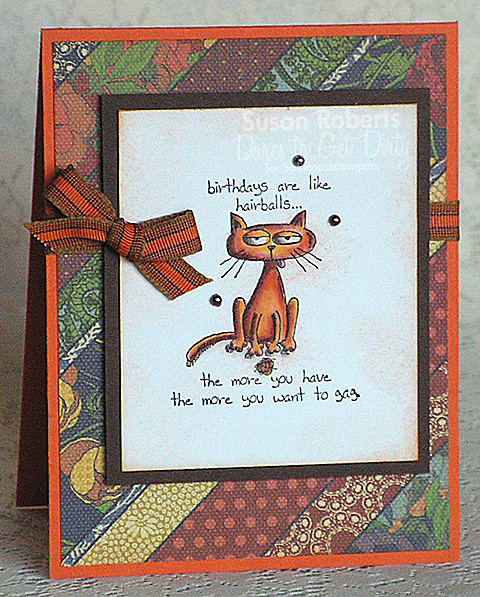 But that’s great news for someone. 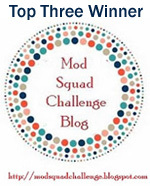 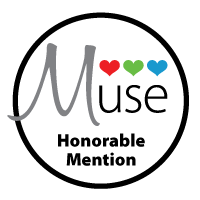 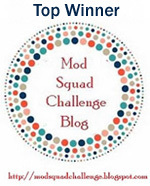 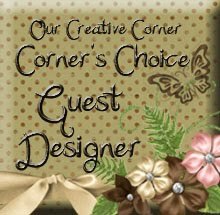 So… how about some blog candy! 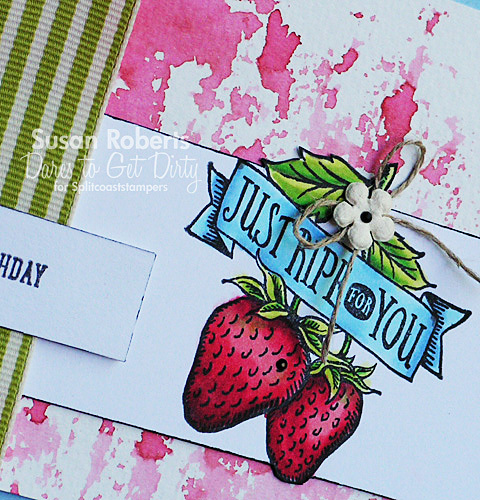 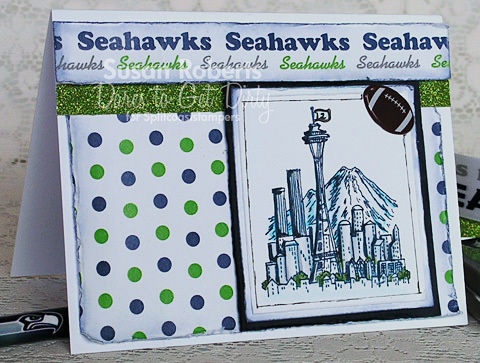 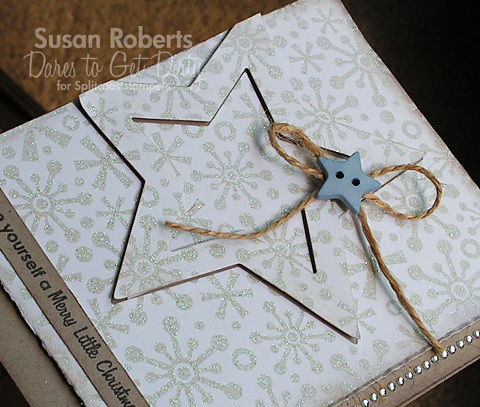 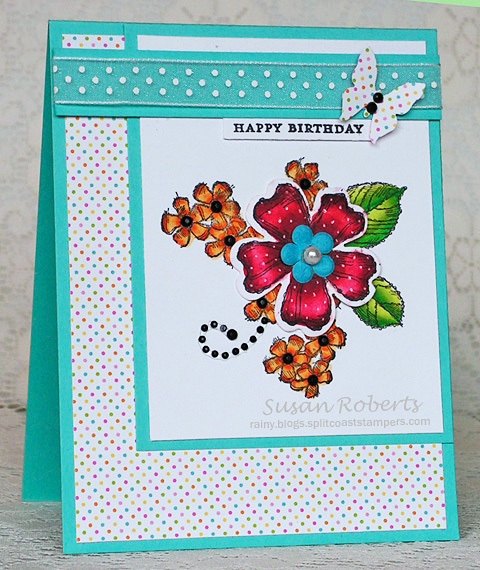 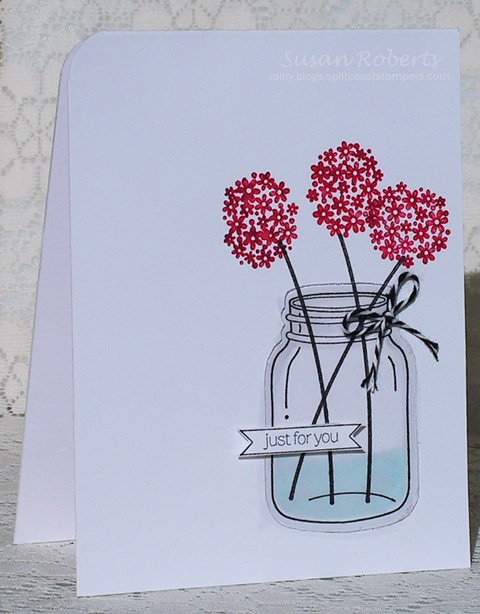 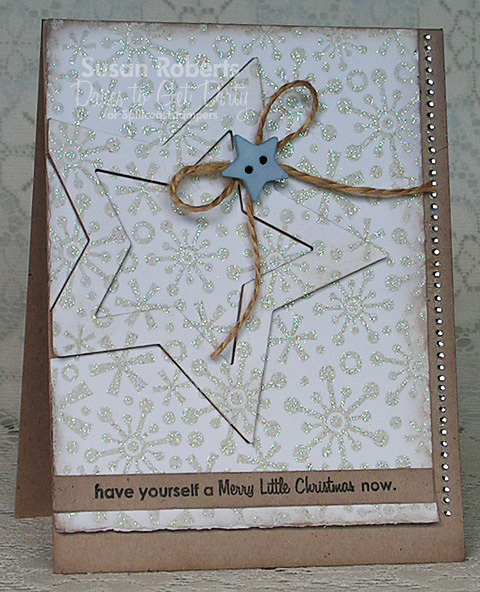 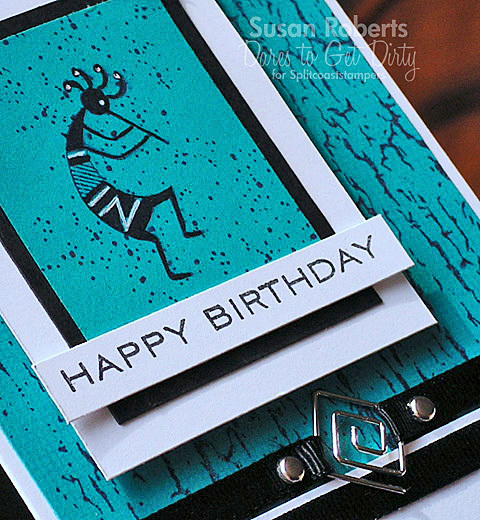 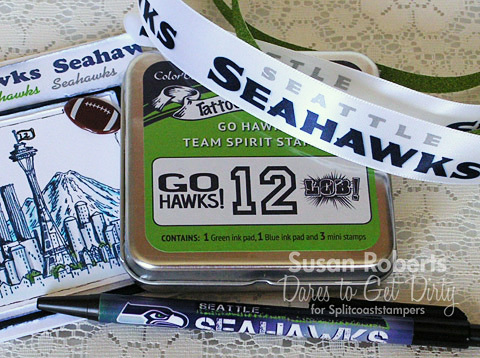 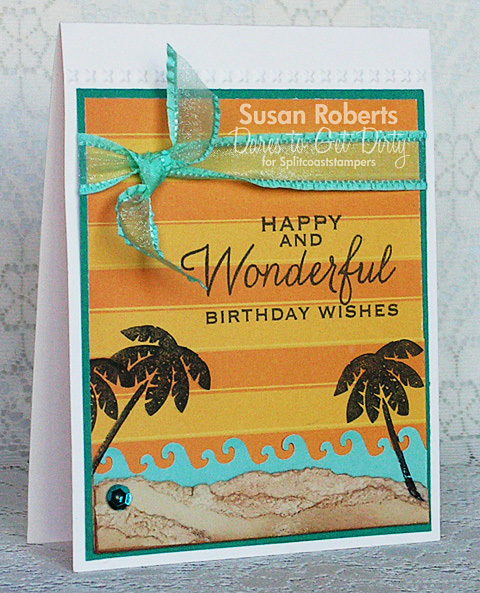 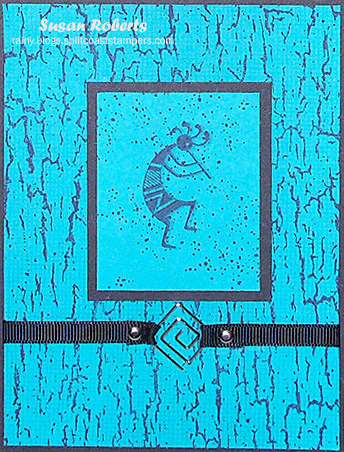 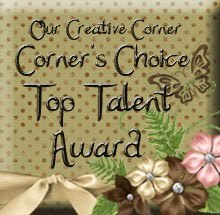 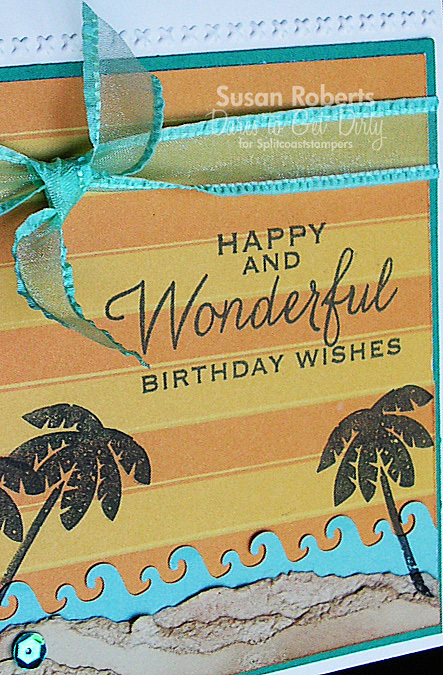 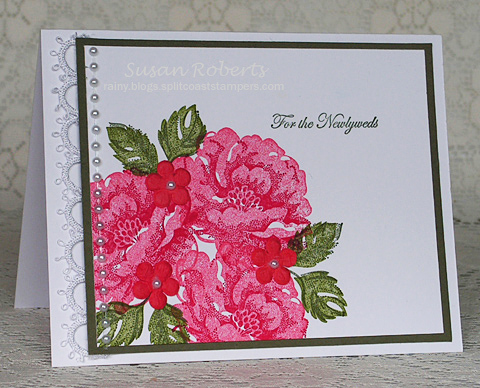 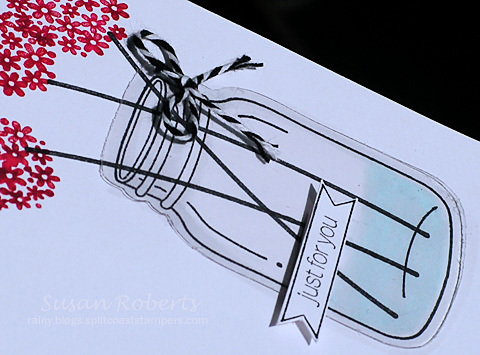 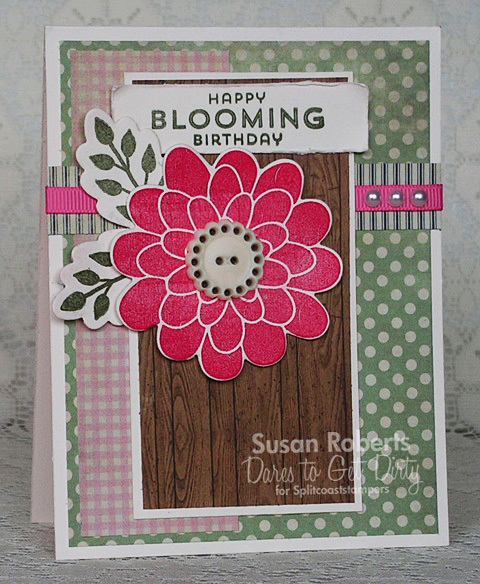 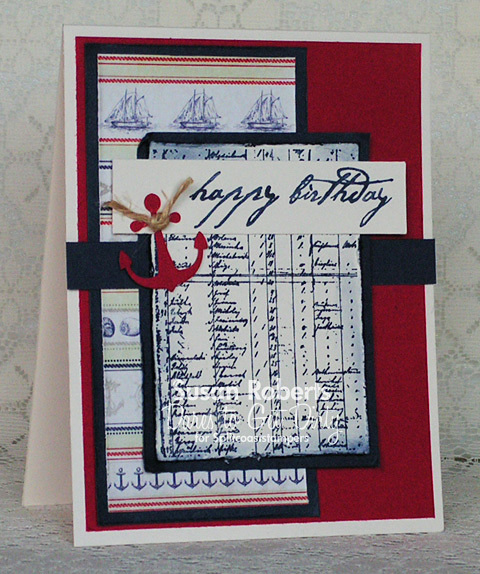 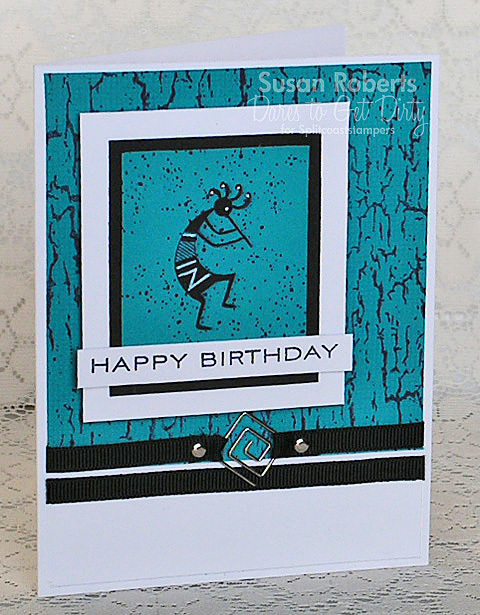 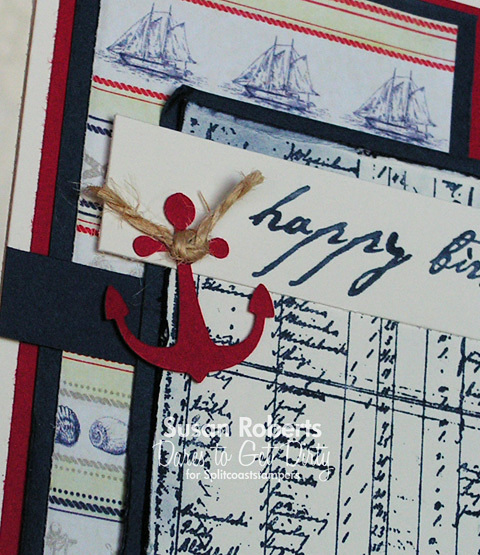 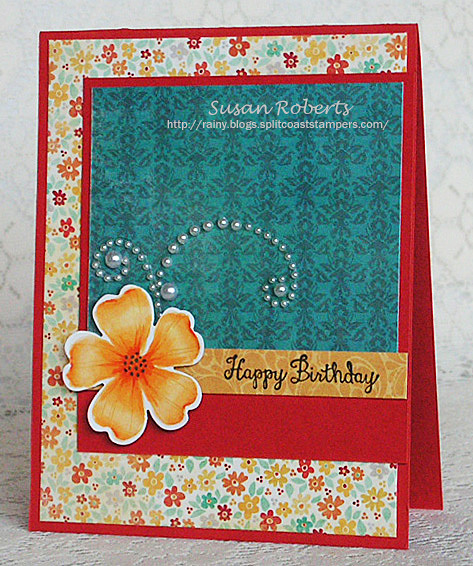 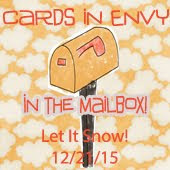 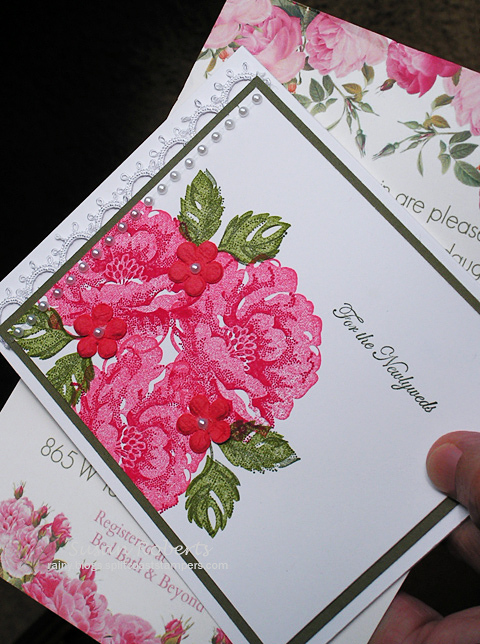 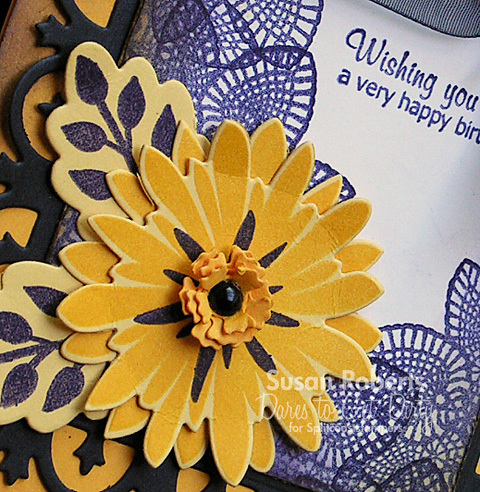 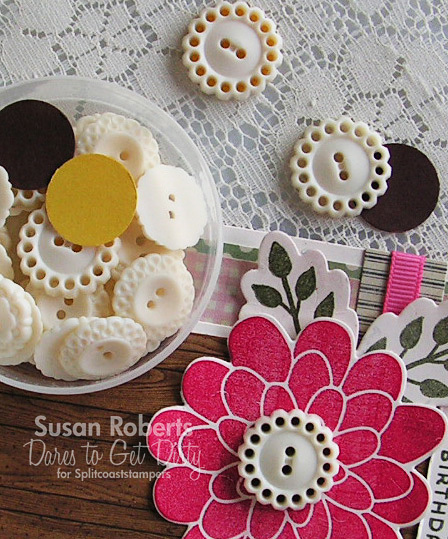 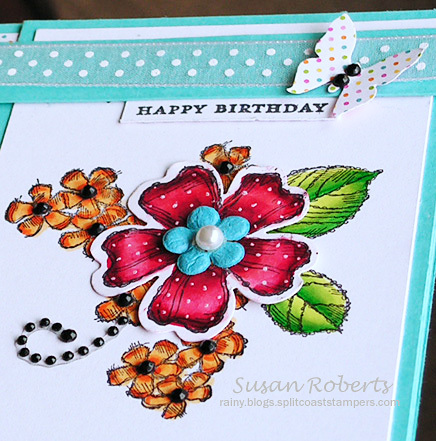 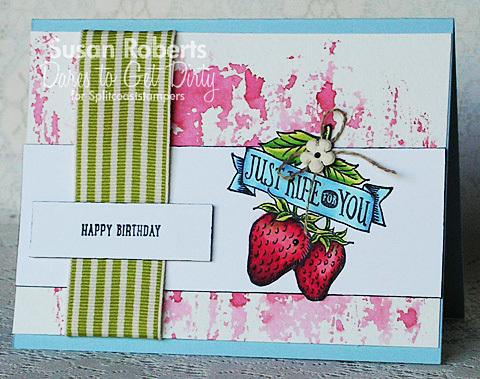 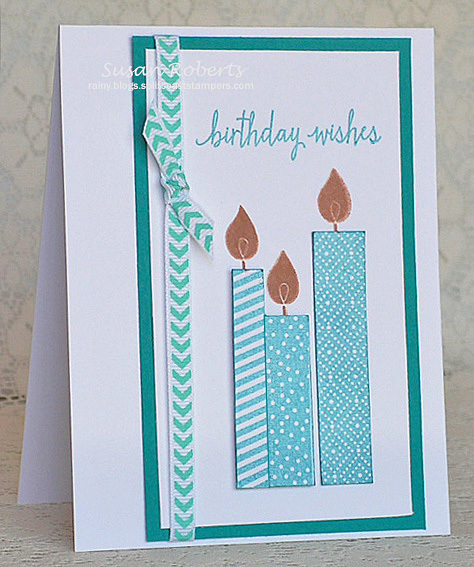 This card is also playing along in the Color Challenge over at Splitcoaststampers. 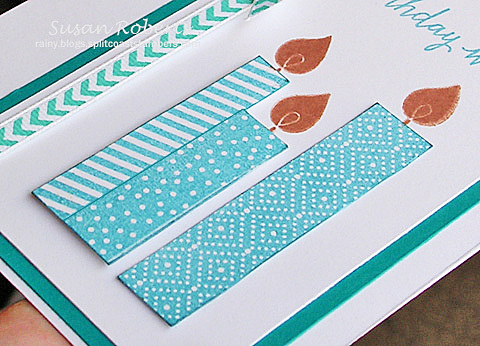 Paper… beautiful patterned paper. 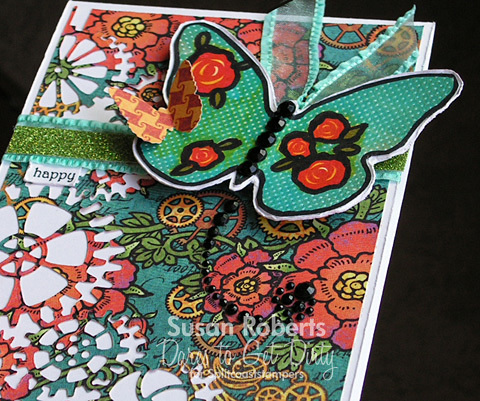 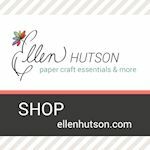 I can’t seem to walk past it at the craft store, so many many of them end up on my craft table. 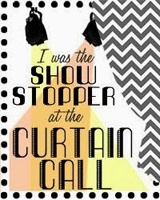 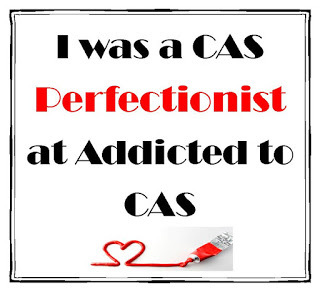 And sometimes I even play with them! 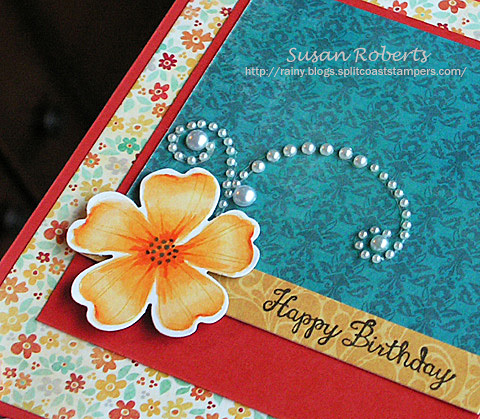 A close second to paper are pearls. 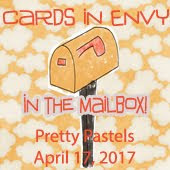 They have gotten harder to find as other bling products are taking center stage, but my love for them has not diminished. 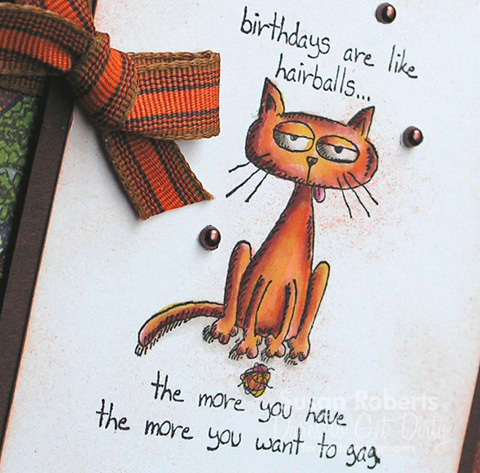 Nope, not a bit.